1)	Motivation – this comes from a number of different means, but mainly it’s the atmosphere and culture your company provides your crew people. I’ve seen owners and crew chiefs who can get more out of their people by setting a pace on the job site, keeping the atmosphere upbeat and letting the guys know when they’re doing a good job. Other ways to motivate are also bonuses when a crew exceeds production goals for a time period, this could be money, lunch, or other material ways to show the crew you appreciate them. 2)	Training – In working with the Dealers, I’ve noticed a distinct difference between when a crew is unmotivated and when they are not properly trained. A poorly motivated crew normally moves through the entire project in slow motion; a poorly trained but motivated crew will normally show signs of slowing down only during the phases of the project where they are not as sure due to the poor training. To combat this, you first need to understand where the training gaps exist. The easiest way to do this is to simply ask the crew or observe them in action. Most people want to do a good job and if they are unsure how to do this will tell you what they need to be better if asked. 3)	Organization – This culprit is all too prevalent in the home services industry these days. Most businesses in this industry have to take their materials and equipment to the homeowner’s location. 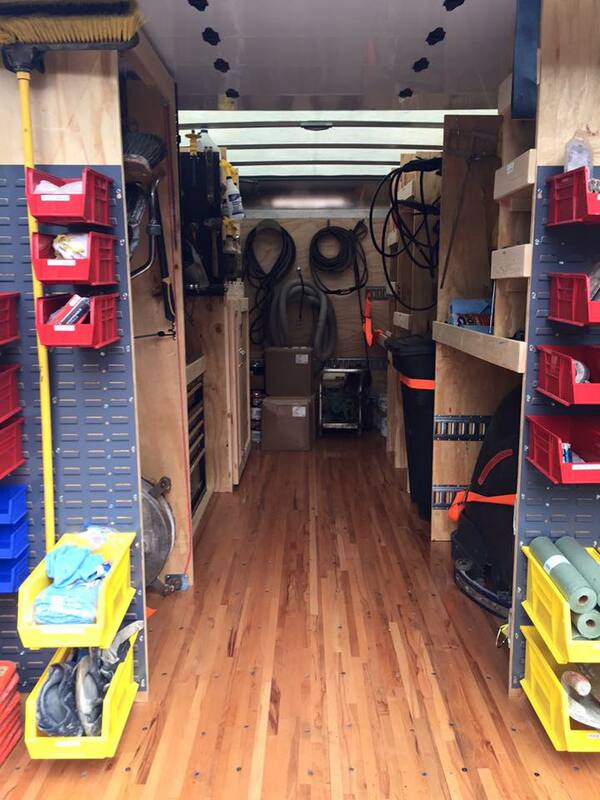 This leads to a challenge of insuring everything needed is in the trailer when the crew arrives for the project. When a crew has to go back to the warehouse to get missing materials or equipment, you not only have the downtime of the employee who is retrieving the materials, but many times you have the downtime of the entire crew to contend with since they cannot move any further on the project. Checklists of all items that could possibly be used on a particular project is one of the best ways to address this issue. 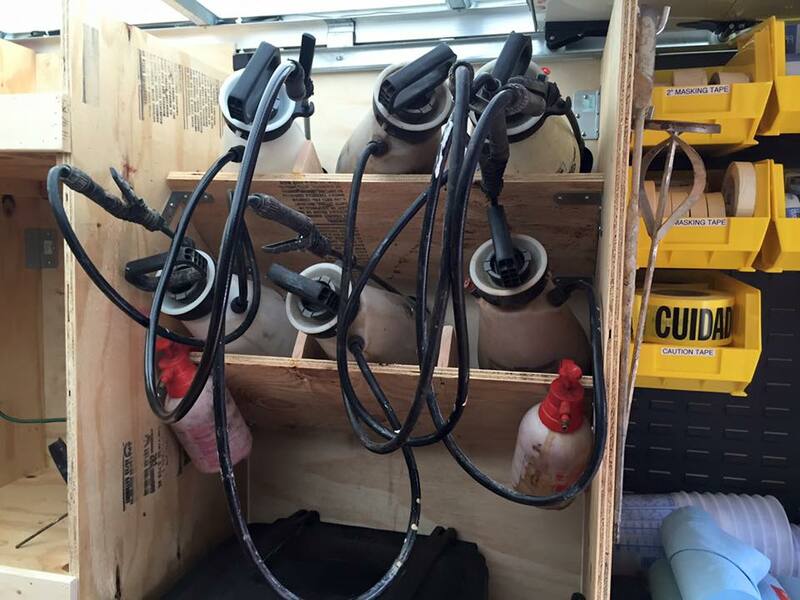 If a crew shows up Monday morning and is preparing the trailer for a project they are starting that day, a checklist should be provided to insure they load everything possibly needed in order to avoid the dreaded downtime. Working with your employees, motivating, training and keeping them organized will not only lead to higher productivity, but will also lead to better longevity with your crew and higher profits. Ongoing follow up to insure future satisfaction from your customer as well as giving your customer a chance to give you referrals. With this said, your first area to examine is how your customer buys from you. This starts with how the phones are answered, how your Dealership looks regarding your trucks and how you and your crew is dressed. Did you show up for your initial appointment on time? Did you complete the job on schedule? How do you leave the job when it’s done? All these factors help determine whether how a customer feels about their overall buying experience. This is one of the most important factors as to whether you’ll get referrals or not. Second, is the installation quality, this is a two-edged sword. On the one hand, the perception of the customer can work for you since your customer’s job is normally the first one they’ve seen in reality. This excitement normally overcomes any small inconsistencies you develop during the job and the customer satisfaction is normally the easiest part of the whole equation. The other side of the coin though is that particular customer you may run across. Are you doing everything within reason to satisfy this customer? Too many times we are trying to get the job done quickly so we can get paid and get on to the next job. A fussy customer can sometimes be your best referral if you take the time and work with them to insure their satisfaction. Third is the ongoing satisfaction from the customer. This is best accomplished by educating the customer about what to expect from the product. Basic things such as telling the customer to hose the area down periodically to keep it clean can keep your customer happier than the one who feels the product should be self cleaning. In addition, explaining to the customer that the product is not bullet proof so if they drag a heavy, sharp object across the area they’re not surprised that it scratches. An educated customer will normally talk about the product more because they understand more about it; this creates the word of mouth advertising you want. Lastly, is the ongoing follow up. Business owners are hesitant to call their existing customers because they’re afraid the customer may have a complaint. It is always better for the customer to tell you about any concerns they may have than the 7 or 8 friends that could have just as easily been referrals. Calling your customers offers you the ability to diffuse any concerns before they become problems and also provides you with a chance to ask the customer the simple question, “do you know anyone else that may be interested in having their concrete beautified?” Referral business is the key to bringing your Dealership to incredible heights as far as growth and profitability, don’t let this ideal chance pass you by. 30 days later, a questionnaire mailed out asking the customer for the thoughts on their experience with your company. 90 days later, a request for referrals. A birthday card on the anniversary of their installation. This also serves as a reminder for the re-sealing every two years. Radiant heat flooring is a situation you may encounter if you live in a colder climate. 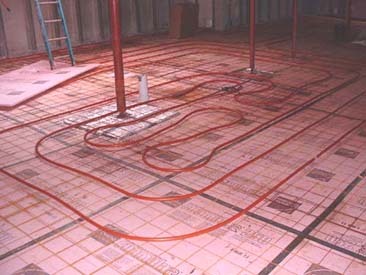 Radiant heating is the process of embedding tubing in a concrete surface (i.e. interior floors for room heating and exterior slabs to melt snow and ice) and then having hot water or electric heating transmit through this tubing to warm the concrete slab. Preparation of a radiant heat floor must be mechanical. Use of acid on a radiant heat slab may cause damage to the tubing. Crack repair procedures can be utilized by forming a small “V” channel in the slab along the crack line and injecting the Fast Crack 1431. Once the mechanical preparation and crack repair is done, the installation of the CTI System can proceed as normal. With the advent of the Home and Garden Show season, it’s time to get ready for the shows in your area. One good Home Show can result in enough leads to carry your business right into summer. However, unless you come up with a system to qualify all those leads, you could wind up spending more time appointment-hopping than money-making. So, how do you weed out the lookers from the buyers? Here’s one alternative…. Is your garage a one, two or three car garage? Do you consider your driveway to be long (4 car lengths or more), or short (3 car lengths or less)? What is the condition of the existing concrete? Good to some light cracking ? On a scale of one to ten (ten the highest), how high a priority is your concrete refinishing project? Besides CTi, what other alternatives have you considered for the project? Is someone at home during the day incase we have a cancellation and can get to you sooner? When would you like us to contact you for an on-site appointment? In terms of qualifying your prospects, questions 6, 7 & 8 are the important ones. You might argue that question 5 is as important, but the answer to question 8 is the true answer to question 5. By using two questions aimed at the same objective, you can get very precise with your qualifying. Once you’ve got your Prospect Information Form looking the way you want it, run on down to Kwikie-Print and have them make up some pads for you. By now you should get the picture. Remember, with potentially hundreds of Home Show leads, you’ve got to be able to qualify them. No reason to waste your time following up with folks who aren’t serious about their prospective CTi work. By creating your own Prospect Information Form you will both look more professional and be able to follow up in the most profitable manner. Personal hygiene – Do not show up in shorts and work boots on your way home from a perspiration-filled work day. Don’t look like you haven’t shaved in two days and, yes, check your nostrils for debris! Show up looking like a person who, if you didn’t know them, you would invite into your home… a home that often times has been cleaned and tidied up for your arrival. Remember, emotions will make or break the sale. Clean vehicle – Don’t pull up in a vehicle that looks like you just competed in the Baja-1000 Race. It doesn’t have to sparkle, but it should be clean. If it’s an open pick-up, make sure the truck bed is tidy and hosed down. Remember, you want to sell them something to beautify their home. Their impression of your ability to do so will be reflected in the presentation you and your equipment first make. Remember, emotions will make or break the sale. Be on time! – You will be better off a half hour early than one minute late. Again, your reliability and ability to perform for your customer will be reflected in how well you keep your initial agreements. If there is absolutely no way you can show up on time with the proper appearance, call the customer well in advance of the appointment time and ask for their permission to be a half hour or hour (or whatever) late. Always exercise integrity. Remember, emotions will make or break the sale. Be compact and focused. Don’t come stumbling up the walkway like the Keystone Cops with sample boards flying and contracts falling from your notebook. And, if you’re there to look at a driveway, stay focused on their driveway, not their walkway. Do NOT turn their attention from their driveway to their walkway unless they bring it up. And, even if they do, stay focused on the driveway. “Mrs., Jones, I’ll be happy to look at your walkway, but let’s get the driveway handled first since that’s your major concern.” There are three reasons for this: First, Too many choices… too many things for the customer to consider make a sale that much harder to close. Second, If you throw all of the work around their house into one lump price, the price you quote may be so high that they decide to do nothing. Third, if you quote them the driveway and they’re wrestling with the price, you can then use a “special” on the walkway to close the sale right there, right then. Urgency. Always try to build a little urgency into your presentation. It will become a powerful ally when you ask for the order. Urgency can take many forms: “It seems our work has been discovered. We’re already booked up three weeks in advance.” “We’ve had a price increase from the factory that takes effect next month.” “We only run one Showcased House Program per neighborhood.” “The first house in the neighborhood gets the advantage of our Referral Awards Program.” “Our Brick Border Promotion ends this week.” I’m sure you get the idea, because you’ve been approached this way yourself. It’s common practice; it can be handled very naturally and credibly; and… it works! Don’t be afraid to ask them if they know what buyer’s remorse is. “Have you ever heard the term, buyer’s remorse?” That’s when you go out to buy a $10,000.00 car and come home having bought a $25,000.00 car and you wake up the next morning and go, ‘Oh my goodness!… what have I done? !’ Should you feel that way tomorrow, just run outside and visualize how beautiful your house will look when we’re finished.” Buyer’s remorse is a normal reaction, so get it handled before it comes up. Answer questions with questions. If a customer asks a question or raises an objection that you can’t address immediately, gain some time and perspective by asking them a question. Ex: “How many jobs do you have in the neighborhood?” Ans: “Why do you ask?” Or, “Is that an important consideration, Bob?” Or, Ex: “We didn’t think it would cost that much” Ans: “How much did you think it would be?” (if they answer this question with a figure, you’ve made the sale… just work out the details!). Answering a question with a question has two effects: It gives you time to think, and it clarifies the issue in both your mind and the customer’s mind. Sometimes people just ask questions because they’re nervous. By responding to them with questions, they’ll get to see that nonsensical questions are just that, nonsense. Sometimes people ask a question before they have it fully formulated in their mind. In this case, your question will help them understand their own thoughts. Purchases are made emotionally but defended logically. It almost doesn’t matter what kind of purchase we’re talking about: New shoes, a used car, a pack of gum or driveway resurfacing. People make what seem to them to be logical buying decisions, but logic is not what usually motivates their choices… they get emotionally attached to the object of their interest. And, your enthusiasm (or lack of it) will effect their emotions. The point here is that once you uncover your customer’s perceived need or desire for a CTi’d driveway, enthusiastically talk to their emotions. “You’ll love how it looks!’ “Yours will be the best looking house on the block!” “You’ll love how it protects your driveway in the winter.” “The soles of your feet will love it in the summer.” The emotional attraction will, in most cases, make the sale (that’s how wedding planers stay in business). But, you’ll need to give your prospects the ammo they need to logically justify their choice: “Cti is the only product that can withstand 60 freeze/thaw cycles in a twenty-four hour period.” “Tearing out and replacing your concrete may well fix your problem, but won’t add even one dollar to the value of your home.” “Not only does it look great, but it cleans up with a garden hose!” Again, make sure they have ammo as well as sizzle. If you haven’t sold Momma, you haven’t sold the job! This one took some time to really appreciate. I thought if I were talking home improvements, Dad was the decision maker. Not so! I have sold jobs that Momma wanted and Dad really didn’t. But, I have never sold a job that Dad wanted if Momma wasn’t on board, too. Maybe it has to do with the emotional aspects of any sale; maybe Momma is more tightly tied to the household purse strings; maybe it’s a control issue. Remember… to get (and keep) a job, Momma has to understand it and give her okay. Make sure you pay particular attention to Mom at the kitchen table. Do what she wouldn’t expect any man to do: listen to her! Make her questions important… and, respond respectfully. Don’t do one-legged sits! Another one for which I was a slow learner. I used to figure that if I had to give up my dinner and drive forty-five minutes for a lead, I was going to talk to somebody! Don’t do it. If Mom and Pop are not both home for the full appointment, tell whoever you meet that you’ll take some measurements (and, perhaps, some pictures) and you’ll reschedule the appointment for when they’re both home. Tell them there are just too many important considerations to discuss (colors, patterns, textures, etc.). But, now that you have the dimensions and an accurate picture of the job site, when you return you’ll be able to give them a realistic price after they both choose the other options. And besides, you may have given the greatest sales presentation in the history of concrete resurfacing, but there is one objection you can not overcome which guarantees your going home empty handed: “It sounds great, but I have to talk it over with my wife.” I say again: Do NOT do one-legged sits! Don’t give “ball park” quotes! If you’re asked for a “ball park” figure, tell them “Yankee Stadium – $100,000,000!” Seriously, if you give Bob a “ball park” figure, here’s what’s going to happen when Mary gets home: “Hi, Mary, that guy was here about the driveway.” “What did he say, dear?” “He said it would be $4,500.00.” “You’re kidding!… I’m glad I wasn’t here when he showed up.” Bingo, you’ve just been shot through the heart and you’re thirty miles away! By the way, if many of your appointments wind up as one-leggers, it’s because you’re doing something wrong in the appointment making process. Colors, patterns, textures, etc. are important considerations which require both Mom & Pop to be there. Don’t be afraid to require it for an appointment. You’re a busy person and there are too many other customers out there wanting your time. I say again: Do NOT give “ball park” quotes! Nervousness. Have you ever heard someone get up to speak to a room full of people and hear their voice cracking as they got started? Usually their nervousness will subside by the middle of their speech. The reason they’re nervous is because they have a secret they’re afraid will be uncovered, a secret they don’t want anyone to know: They’re Nervous!! Everyone is nervous when they meet and have to speak with new people for the first time. No difference between an in-home sit and your first high school date (although the outcome is, hopefully, different). You’re nervous, and your ego is afraid that someone will find out! Well, guess what, when someone opens the door to their house for a person they haven’t met before, they’re nervous, too. It’s okay. It’s the human condition. My Dad spoke to large groups for decades, and he was always nervous when he was introduced to speak… even when he personally knew everyone in the room. There are two important things to truly know and understand to be a successful franchisee. First, you must know your customer and their specific needs very well. For example, in the home improvement sector you might ask — What are they trying to achieve? What is the style of their home and trends in the neighborhood? Are they more interested in cost savings, or are they focused on lasting beauty and low maintenance? When you understand your customers you can better tailor your sales pitch to their specific needs, greatly improving your closing rates. Second, you must fully understand your product down to the smallest detail. You should be able to talk to a novice as well as a professional with great ease. Having examples and success stories at the ready help demonstrate your knowledge giving you credibility. Know the styles, colors and features. 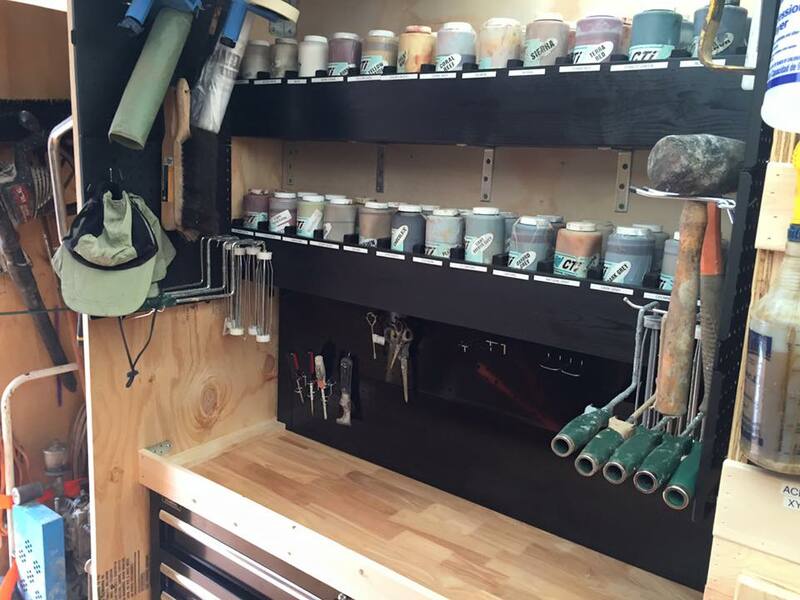 Understand the best way to install the product. Be familiar with any potential issues that may come up over time so you can stay ahead of the game and solve any problems that may arise quickly and keep your customers happy. Finding the right franchise to buy can make all the difference. Look for a company with a product that you believe in with a solid track record of success over time. A company that has been around, has a large installed base, and is still growing. You also want to find a franchisor who understand that training and support are critical to the success of their franchisees. Look for a company that provides extensive training on how to understand your customer’s needs and how to present the product line so your customers understand how it meets their needs. Many franchisors will talk a good game. They tout all the national advertising they buy. That is important, but you also want to know how they are going to help you at home in your local market. What are they doing to help get you started and become successful? The right company will help you put together a marketing plan and provide ongoing support and training. Starting out on the right foot is the quickest way to get a return on your investment. While businesses like McDonald’s, UPS, and H&R Block all offer different services and products, they all have one thing in common–they’re franchises. Much like these companies, CTI offers a way for people to build a successful business by giving them access to a well-established brand and business model, as well as training and superior product. What sets CTI apart from the rest however, is the low cost of the initial investment and no franchise fees or royalties of any kind. Our average price tag of $19,500 includes our top of the line products, equipment, and advertising materials. We don’t charge any franchise fees or royalty fees. Many other companies do however. In fact, if you’ve been looking into owning your own franchise, you’ve probably realized just how high the costs are. According to Business Insider, you’ll need at least $750,000 in liquid assets to open either a McDonald’s or Taco Bell restaurant. Or, if you’re more interested in selling fried chicken, you’ll need have a minimum net worth of $1.5 million, plus $750,000 in liquid assets, to open a KFC. Of course that initial fee doesn’t include the royalty fee (a percentage of yearly gross revenue sales) or the franchise fee. For some chains, the royalty fee can be as high as 12 percent. The franchise fee is around $40,000 for some of the more popular chains, like Wendy’s. There’s more though. Some chains charge both a service and advertising fee–about 5 percent of gross sales. What we offer at CTI isn’t technically a “turnkey” franchise. We offer dealer packages, which are 100% backed with inventory, equipment, and marketing and offer a quick and accessible pathway to owning your own business–with all the perks and support of a franchise, but with increased autonomy and no fees. So what is a dealership? Essentially, it’s an agreement that allows you to sell our product and services, often with exclusive rights in a specific area. The most classic example is a car dealership, though RadioShack is another example. Welcome to our new website! Contact us if you have any questions. CTi will jump start your business with its proven direct mail program that targets specific homeowners anywhere in the United States. These programs will get your phone ringing with qualified individuals who are excited about becoming your customers. To help you in these inquiries, CTi provides its Dealers with a professionally designed web site template so you can develop an internet presence immediately. CTi has a number of sales and marketing tools to aid you in creating demand for the product as well as explaining it to your customers. We offer our Dealers an award-winning Navigator program that allows you to show the customer what their home will look like before and after the CTi System is installed. In addition, we provide an Estimator Software that insures you quote a profitable price for each job.